I attended mass this Sunday at my favorite parish. The homilist is one of my favorite priests. His message is always very good and very orthodox. So why am I writing this blog entrance? Two important things happened. I’ll begin with the least positive and conclude with the more positive event. Father tends to repeat himself a great deal during his homilies, which makes them very long. Something has not set well with me about these long homilies and I think I figured out what it is. They unbalance the liturgy. One of the major concerns when in the liturgical renewal was to give a more prominent place to the Word of God. The idea of a Liturgy of the Word with three readings and a psalm was born. But the theology of the mass was not supposed to change. The mass is still the unbloody sacrifice of Calvary. 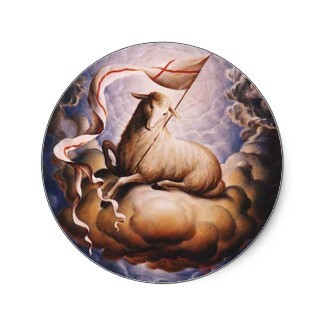 The sacrifice must still occupy pride and place during the mass. However, when your homily is three times longer than the Eucharistic Prayer, when you have the laity reading aloud from their bibles during the homily, the preacher is everywhere but at the pulpit and the style of the homily resembles a Protestant revival more than a Catholic homily, with people calling out, clapping, cheering and more, then there is a problem. The problem is that the sacrifice is virtually ignored. People attend the mass because they love Father N’s homilies. But Fathehr N’s homilies are an event unto themselves that make the Liturgy of the Eucharist pale by comparison. Another problem enters the picture when Father N repeatedly makes certain comments. Every preacher has a pet phrase, slogan or idiomatic expression that he will throw in there with some frequency. We have to make room for the human element. A preacher is a human being who comes with his culture, his persona and his style. We can’t and shouldn’t expect them all to be cut out of the same bolt of cloth. Even identical twins have different personalities, why should all preachers have the same personality? Never say no to Father. I’ve been a priest for X number of years. I’m a priest and he’s only a deacon. When I walk down the street . . . .
Don’t let any priest tell you differently and if he does, send him to me. Such expressions can be dangerous. They become more dangerous when the preacher does not realize that they are calling too much attention to him, making it the Liturgy of HIS word instead of the Liturgy of the Word. Some people would say that this is a weakness of the revised order of the mass and that going back to the Tridentine form would resolve all of this. This is not true. These issues have nothing to do with the form. They are about preachers failing to execute the Liturgy of the Word as Pope Paul VI intended it to be when he revised the missal. Preachers must also be sensitive to the possibility of using the congregation instead of proclaiming the Word of God to the faithful. If the congregation is hanging on to your every word, clapping, calling out during your homily, and cheering you on and if this is usual for your homilies, there is a danger here. The preacher is risking using the congregation to feed his ego. The sad part here is that these are good priests and deacons. They don’t have any intention of doing harm, violating the rubrics, attracting attention, or turning the church into a revival tent. Their intention is to preach a message to the people of God. When the preacher hijacks his own homily, it’s a sad day. This can easily happen when Father or Deacon plan their homilies around the message they want to deliver and include themselves too much in the homily. They fail to factor in how to use that message to help people move from the table of the Word to the altar of sacrifice. Human beings need help transitioning from one event to another. We also need to start looking at the mass as the prayer of the Church, not Father X’s mass that we never miss. “Because Father is a great preacher,” or this is the mass that one tries to avoid, “Because it’s Father X’s mass and I don’t like it. If that’s the only mass left, then I won’t go to any mass this Sunday.” These are not viable and acceptable reactions to a mass. However, these are real dangers when people make it Father X’s mass and Father X encourages it with his behavior and his language. For months I’ve been uncomfortable with this situation, thinking to myself that something bothered me when Father N celebrates the mass. I did say that two things happened and that the second was very positive for me. I was angry when I arrived at home. I left the mass angry. 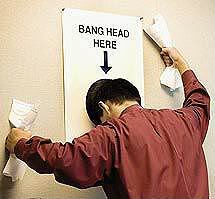 Suddenly, one of our new aspirants tells me that he plans on visiting with me next week. I respond that I hope that I’m in a better mood and proceed to tell him how angry I was at this priest. He reminded me that I had taught him to focus on the parts of the mass, not this person or the next one. We don’t go to to mass to police the liturgy. Hearing these things from the aspirant helped me to realize that I was playing liturgical police rather than praying the liturgy. In his own mild way, Brother put me back in my place using my words. It’s good to have brothers to humble you whenever you need to be knocked down a peg or two. I’ve been thinking, what can I say or write in preparation for the Solemnity of St. Francis of Assisi (October 4th) that would speak to others and would come from my heart rather than my head. Then it occurred to me to share the Lord has taught us through St. Francis. Every teaching has been a blessing. I have to say that the most visible blessing that God has given to the world is the Franciscan family. I don’t think that anyone really knows how many sons and daughters St. Francis has. 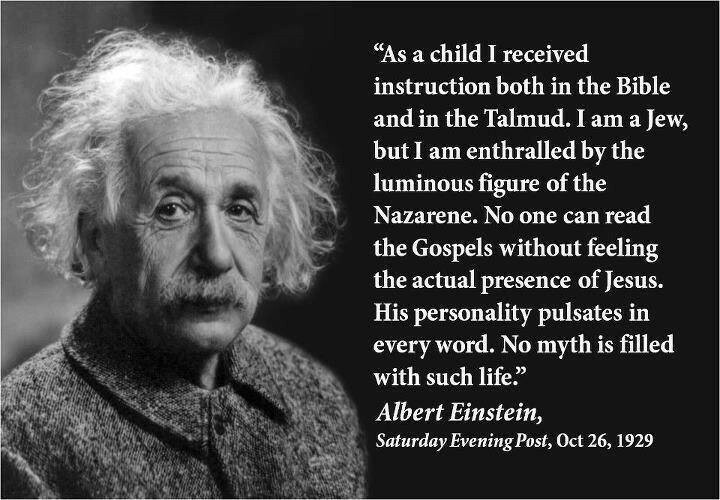 If I were to compare Francis to a biblical personality, it would be Abraham, the father of many. I think the first quality of St. Francis that I respond to is fatherhood. This is interesting, because Francis always identified himself as our little brother. But this little brother has commanded the attention of millions of men and women around the world, not all of them Catholic. He has certainly had the obedience of thousands of men and women during the last 800 years. What makes Francis such a special man and a father figure is not that he was authoritarian or controlling. What makes him a special figure and a father is that he was respectable. Francis is credible. Credible people are respectable. He set out to live his life according to the Gospel. To everyone who came to him, he offered the Gospel. He did not impose himself on anyone. On the contrary, he was the father who guided his sons and daughters into the future. Parents normally point to careers, education, potential spouses, hobbies, social activities and many other things that they believe will enhance the lives of their children. Francis is no different. He points to Christ and his Blessed Mother. He points to the Church. He points to prayer, penance, poverty, family, service and to the Cross. I have often thought that Francis is like the man who has an elderly parent who may no longer be physically attractive, but he knows his parent and he knows the beauty inside. This man makes sure that his children are exposed to this grandparent, who has warts and wrinkles, is old and appears to walk a little out of step with the rest of the world. He exemplifies filial love and love that goes beyond the faults, to the heart of the other. This is Francis relationship with the Church and his sons and daughters. In some respects, the Church can be that grandparent that is no longer physically attractive and at times can be cranky. Just like Grandma’, she is beautiful inside and has much wisdom to pass on to us, if we open ourselves to receive it. Francis loves the Church, warts and all. He takes his sons and daughters into the heart of the Church, through example more than words. He teaches us to look beyond the surface and see the glory of the Church. I can’t speak about Francis without speaking about family. As I said above, Francis identifies himself as everyone’s little brother. He was right to do so. You see, in a large family the youngest is usually singled out. Sometimes his older siblings will bully him and at other times they will spoil him. This certainly was the relationship that Francis had with the first generation of brothers. brothers who worshipped the ground upon which Francis walked . There were also brothers who fought his vision of the Gospel Life tooth and nail, to the point of being mean. But like all good little brothers, Francis loved them just the same. Little brothers can often become the most forgiving persons. Francis was the brother who always forgave. Even when his brothers were wrong, Francis maintained the clarity of mind necessary to separate between the person and the deed. I wouldn’t say that he hated the sin and loved the sinner. Francis went beyond this. He did not judge anyone to be a sinner. It would be contrary to his way of thinking to look at someone and say that he or she is a sinner whom I must love, even when he has committed a sin that I must hate. What we see in Francis’ writings and his actions is honesty. He recognized sinful deeds and he pointed them out when necessary. His admonitions are full of sinful deeds that he notices among his brothers and sisters. That’s why he wrote the admonitions. 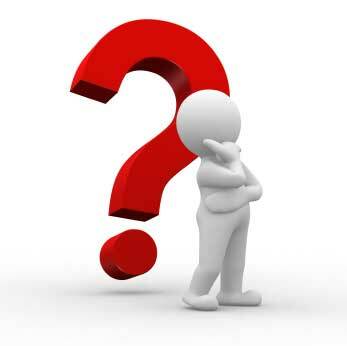 Why admonish those who need no admonishing? However, when one reads through the admonitions, his letters, his rules and his testament, he does not refer to a single person as a sinner, other than himself. He leaves that to God. In other words, St. Francis is a person who can teach us what belongs to God, what belongs to the Church, to the superior and to the individual. He does not cross those boundaries. Today, we have too many people who want to make the world right by dictating to others, including correcting the Church. There is such a thing as fraternal correction, which Francis used quite often. But let’s look at his style. Look at the admonitions. He speaks about faults that are to be avoided and how they are to be rectified if they are committed. He is a brother, not a policeman. He didn’t even police his own brothers. A brother corrects while being very careful not to cross the line and assume authority that he does not have. A brother who is faithful to the Gospel corrects without making a judgment about the state of the other person’s soul. I want to draw attention to an aspect of him that is rarely addressed, obedience. Francis’ poverty is well known. But very little is said about Francis’ obedience and what he taught the brothers concerning obedience. mission assigned to him by the Father. In both cases, the mission ended up terribly, if we measure it by human standards. Both were executed. As tragic, as cruel and as unjust as both of these executions were, they could not be any other way, because to change the conclusion would be to thwart God’s plan for our redemption. Our loss of paradise is the product of disobedience. Recovery can only happen through obedience. Obedience goes beyond compliance. Obedience is charity. Obedience is poverty. Obedience is the greatest expression of union between the soul of man and the mind of God. Therefore, Francis demanded that his sons and daughters obey. Above all, we are to obey God. We know when God speaks to us, because the Church confirms it for us. We can’t jump a rung on the hierarchical ladder. We seek to know the will of God in order to fulfill it. It is the Church who tells us if we’re on the right track. We can’t simply say that the will of God is X and the entire college of bishops is wrong and I’m right. It doesn’t work that way and Francis knew it. He reminds us in his Testament that the rule was of divine inspiration, not human influence. He quickly adds that he knows this because the Lord Pope confirmed it for him. Francis taught us there is only one question that we need to ask. “Is this a sin?” If I’m being commanded to sin, I have a duty to disobey. However, if I’m being commanded to do something that is not a sin, even if I believe it is not the best decision made by legitimate authority, I am bound to obey. God is pleased by obedience more than by the thing that we do or not do. John would obey, even though it would cost him his life. Jesus knew that his life would take the same turn. At some point, his obedience to the Father would cost him his life. From a human perspective, these deaths were scandalous, because they were foolish. There was no just reason for these men to be executed. But from a divine perspective, these deaths were the greatest acts of love that the world has ever seen. When one obeys the Beloved, even unto death, there is no greater love, regardless how foolish the command. One is freely giving. No one is taking. Francis teaches us what he learned from Christ, “obedience, even unto death,” without murmuring and without second thoughts, obedience given, rather than compliance demanded. Today, there is much talk about the Church and her prudential judgments. Many excuse themselves from obedience, because the Church, the bishop, the superior or the boss is less than prudent or the command is not infallible. They’re looking in the wrong direction. Francis taught us to look out for sin. If there is no sin, we turn our complete attention and gaze to what is asked of us and we respond with love for God and for the authority that God places over us. Christ is the Master and Francis is his hired teacher sent to us, through the Church, by the Holy Spirit. He teaches us that obedience is an absolute requirement in order to be like Christ, even when obedience is deadly (in the eyes of the world). Holy Father St. Francis . . .Pray for us. I’m trying very hard not to engage in heavy philosophy and theology these days. I’m tired, my health is poor, my brothers need my attention, it’s “Franciscan Season,” then I have to rest for the Advent Season. But every once in a while someone says something or publishes something that stirs my juices and I can’t turn my brain off. I keep asking the brothers to elect a new superior. If someone else were the superior, he could order me to stop thinking about A, B, and C and I would have to make an effort to focus on something else. But that’s not the way it works these days. To me this is like arguing about which version of Little Red Riding Hood is correct. I responded like this. I’m just going to give you snippets of my response. When we come to the person of Jesus Christ, we have to face the question about a real person who exists in real history, but has two natures, one divine and one human and he proved it to those who knew him. He died on a Friday and walked out of a tomb on a Sunday. Dying is very human. Walking out of a tomb after three days is not normal for human beings to do. I gave a few other examples such as Jesus walking through walls and asking for food, before moving on to this other point. Now we have the union of two natures in one man. The divine nature is that of the second person of the Trinity and the human nature is that of Jesus of Nazareth. But the second person of the Trinity, who happens to be pre-existent, is also the infant who was born of Mary and who could not be born, had there not been a mother to carry him for nine months and give birth to him. Yes, I know that God could have taken on human nature using any means he wished. But he’s God and I’m not. Who am I to tell God how to enter the world? Another post shows up and said “Not buying any of it.” That’s fine, because Truth is not for sale. As Franciscans, we present it, but we don’t try to sell it, shove it down anyone’s throat, or seduce anyone into acceptance. The Truth is of God and God does not need help to distribute grace. Faith is a gift of grace. God just asks us to deliver the message. He does the rest. However, I did state that I would give my life for this, meaning that I am willing to die rather than deny that the Second Person of the Trinity broke into human history by taking on human nature from Mary of Nazareth. I’m not about to argue with him why he didn’t use some other way. That’s like arguing about technique with the lifeguard who’s trying to save your from drowning. Of course it finally came out. The famous question. Explaining a fairy tale, is just explaining a fairy tale. Where is logic and science? It seems that some people have elevated science to be the “Source of All Truth”, an assumption that even many non-believers reject. In a certain sense, modern man is more naive than the ancient Chinese, Romans, Greeks, Aztecs, Incas, Mayans, Brahmans and other great thinkers. The ancient thinkers never believed that one discipline had all the answers. Truth is distributed among science, art, nature, human behavior and development, the environment, math, and other disciplines. Theology studies Truth in order to understand that to which our faith has already given assent. In plain English, science can only answer some questions, the answers to other questions are to be found in other domains out of the reach of science. Can science create beauty or something that is beautiful? Beauty exists before the beautiful. Science did not create beauty. It created something beautiful using technology. Case in point, science does not have all the answers, so why even ask this question? I explained that science can only deal with that which is contained by space, time or both. Einstein also taught us that space and time are relative to each other and to that which occupies it. If science could show us all truth, then truth would be limited to space and time. In which case, there would be no absolute truth, because science is not absolute. We’d exist in a world of relativism where nothing can be trusted, because nothing is guaranteed. If there is no absolute truth, then there is no such thing as absolute love, friendship, fidelity, honesty, patience, kindness, compassion, purity, detachment and many other things. If we contain these things in space and time, they would be relative, not constant. You couldn’t trust that your feelings for a loved one are the same today as they were when you went to bed last night. Einstein’s theory of relativity helps us understand the relationship between space and time. To use a modern word, they’re synced. The most beautiful and most profound experience is the sensation of the mystical. It is the sower of all true science. He to whom this emotion is a stranger, who can no longer wonder and stand rapt in awe, is as good as dead. To know that what is impenetrable to us really exists, manifesting itself as the highest wisdom and the most radiant beauty which our dull faculties can comprehend only in their primitive forms. To which I was forced to respond, “There is the difference between you and I. I would never forfeit my life for a lie, but I would for the truth.” Our preoccupation with empirical truth has actually deteriorated our ethical character. Here is the weakness in that thinking. You’re assuming a great deal about the other person. She’s assuming that I’m naive, ignorant, weak-minded and that she has no need to walk in my shoes, because she has her stuff and mine all figured out. We can never make such assumptions. St. Francis never assumed that he understood the other person. He allowed the other person to open himself up to him and he in turn reciprocated by opening himself to the other. He took the risk of loving, believing what he could not see and trusting. I want to do the same. I want to take the risk of sharing my faith. I came to the faith on a risk. I trusted a man named Francis of Assisi. I believed that he would teach me about Jesus and he did. For a few years, I lapsed in the faith and underwent a second conversion. This time I trusted my eyes. I had completed my studies in neurology and psychology and I’ went through a conversion experience that began in my mind. human brain and its concomitant behaviors are too complex, too ordered, too consistent and at the same time outside of our ability to contain in time and space, which makes them consistently fluid and unpredictable, because we can’t create human experience. We have to wait for it to happen in order to attempt to understand it. We can’t create human passions. We have to wait for them and then analyze them. For anything that precise to exist free of human control and capable of transcending space and time, while obeying natural law, there must be a Law Giver more intelligent and capable of much more than what I give him credit for. Why do I do this? Why do I engage in discussions with fallen away Christians? Because I’m a Franciscan of Life. God sends us into the world to continue the work of Christ who is the firstborn of many brothers. What did Christ say was his work, “Icame that they may have life, and have it abundantly,” (John 10:10) The Franciscan of Life is the instrument of Life calling out to life. The article that triggered the dialogue. I just saw the article linked at the bottom and thought I would comment on it. Once again, journalists are speaking out of their field of expertise and the general public is following along like sheep. A journalist is not a theologian. His or her role in society is to report news, not to rewrite Revelation and much less to distort it. Reproductive rights and reproductive healthcare for men and women only includes artificial contraception and abortion in the mind of those who want to resolve a health issue the easy way out, without understanding what’s at stake here. Pope Paul explained God’s policy on birth control. He did not invent it. conception. The Church Fathers sustained this as Divine Revelation, therefore part of the Deposit of Faith. The Church’s teaching on artificial birth control is not a matter of policy that the Church has the authority to change. This policy is God’s policy, not the Church’s policy. The Church can only teach God’s policy and remind us of it every few years, in case we forget. No man has the authority to overrule God. The same is true on abortion. Natural law teaches us that the killing of an innocent human being, even an innocent animal, who is not a direct threat to our safety, is immoral. Why do we have campaigns to save the whales, save the dolphins or save some other endangered species? We have them because these are life forms that are not a threat to human safety and they are not a necessary food source. Therefore, there is no reason to attack them and take their lives. The preborn child is not a threat to human safety either, nor is he a source of nourishment. One has to use one’s imagination and stretch it exponentially in order to say that a preborn child is a threat to his mother. A pregnancy may trigger some complex and even dangerous health issues, but this is not the same as a conscious attack coming from an adversary. The preborn child is not an adversary. This danger stems from nature following laws that God built into it when he created the natural world. To insist that one terminate the life of the preborn child is an unjust act and an unethical interference with the laws of nature, which man did not create. God did. It’s unethical because there are natural laws that allow us to avoid high risk pregnancies. They require some sacrifice on the part of the parties involved. If we defend the natural right to life of non-human animals, why do we challenge the right to live of the human animal? Just as there are natural ways of avoiding the risk of being eaten by an alligator, there are natural ways to avoid pregnancy. In both scenarios, the living organism is not attacked and destroyed, nor is any human being who follows the the natural means to avoid a potentially dangerous situation threatened by an innocent life form. These are laws that God built into nature. The Church can only teach them. She has no authority to change them. They are not the Church’s policies. They are God’s policies. It is God’s policy that innocent life, human or other, cannot be destroyed. Man has a moral duty to protect all life forms, especially human life, from conception to natural death. Man has no right to extrapolate a specific group, in this case women who are of childbearing age, and create exceptions to the natural law to protect women’s lives by killing preborn women. Natural law, as God created it, demands that the lives of all women be protected and natural law does not place the woman of childbearing age at the top of the female hierarchy, granting her a greater right to life than the woman in her mother’s womb. The Catholic Church does not make policies for God, she only explains them. Cast into the deep . . .
and when Peter did they had to call for help, because the nets were bursting with the weight of the fish. When most of us think of Maximilian Kolbe we think of a holy Polish Franciscan friar who took the place of a man condemned to die at Auschwitz and whom the Catholic Church canonized as a martyr. But this is too simplistic a view. His journey to Auschwitz began when he was nine-years old. 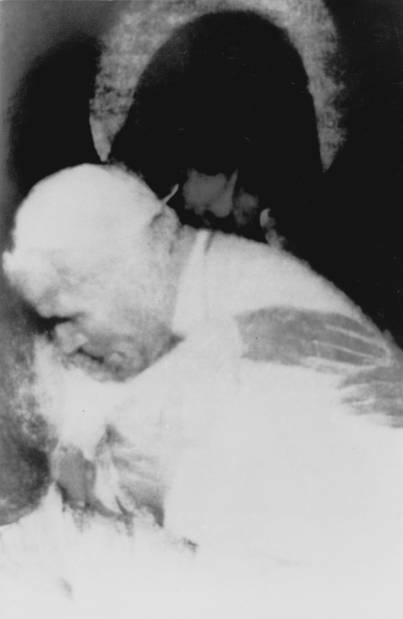 Speaking through his Immaculate Mother, Christ invited nine-year old Raymond Kolbe to “cast [himself] into the deep.” When the Immaculate appeared to the young boy she showed him two crowns, one white and one red and told him to choose one. Raymond asked what they represented. She told him that the white was for purity and the red for martyrdom. Raymond chose both. 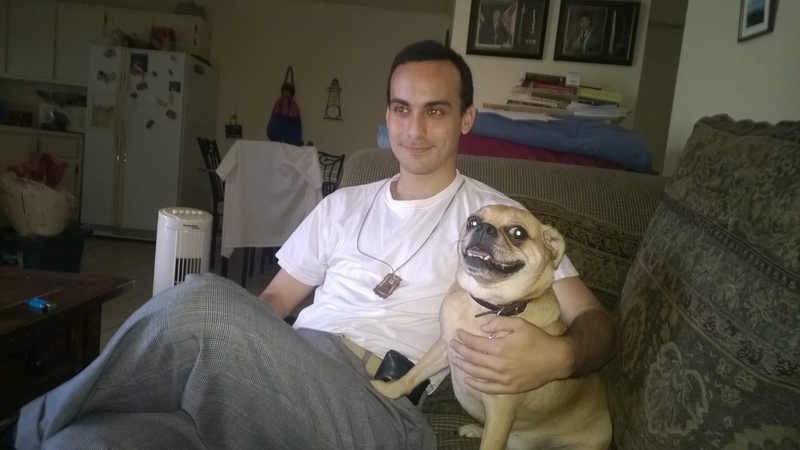 If we fast forward, Raymond eventually enters the Order of Friars Minor Conventual (Conventual Franciscan Friars) and becomes Friar Maximilian Maria. The friars did not use last names in those days. This is a later development when secularism invades religious life. 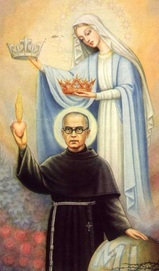 Maximilian Kolbe began his trek to martyrdom at age nine, accompanied by Mary. It is not coincidence that he achieves martyrdom on the eve of her Assumption into heaven. The relationship between Maximilian and Mary was much deeper than the Sea of Galilee. Together, they would catch many souls. St. John Paul II, preaching at St. Maximilian’s canonization said, “In the mystery of the Immaculate Conception there revealed itself before the eyes of [Maximilian’s] soul the marvelous and supernatural world of God’s grace offered to man.” Does not Peter say, “Depart from me Lord, for I am a sinful man”(Lk 5:8)? God never misses an opportunity to reveal his grace and to offer it to man. He also reminds us that without Mary, our battle against the forces of hell is a lost cause. To try to become saints and conquer sin by our own efforts, without the aid of the Mother of the Lord, is a futile cause. Many non-Catholics and non-Orthodox will argue that they know members of their community who have never had a devotion to Mary and have lived very holy lives. This may be true. But that is not to say that Mary is absent. Mary does not need our permission or even our friendship to intervene between our soul and hell. This was planned by God from the beginning of time. “I will put enmity between you and the woman, and between your seed and her seed; she shall bruise your head,” (Gn 3:15). We cannot handcuff Mary, because we cannot handcuff God, nor can we alter his plans for our redemption. Mary is not divine. She is only human. 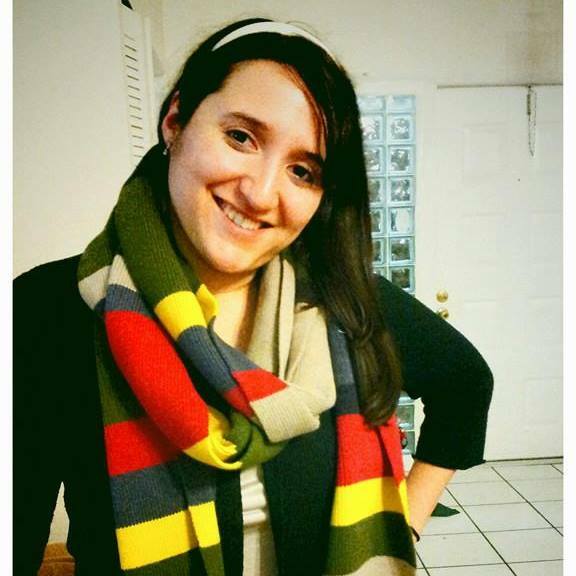 She is not part of the Trinity. 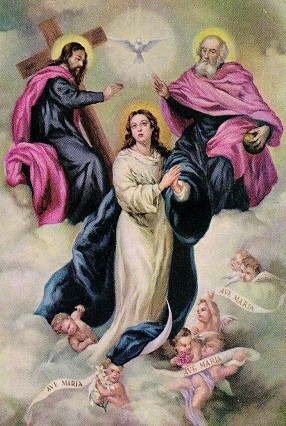 Yet, being the mother of the Second Person of the Blessed Trinity, she is inseparable from the Trinity, because the persons in the Trinity are inseparable from each other. She is daughter, spouse and mother. Christ’s passion, death and resurrection involve the three divine persons of the Trinity and the human person who surrendered her Son to be executed for our redemption, in fulfillment of the Father’s plan. She is the first to cooperate fully with the Holy Spirit for the redemption of mankind. If we want to experience how much the Trinity loves us, we must draw close to Mary. “The only human person who was as closely united to the Holy Trinity as is absolutely possible, and therefore, the highest reflection of the love of the Holy Trinity; the most perfect human, living, visible, audible human being is the Blessed Virgin Mary,” (St. Maximilian Kolbe). 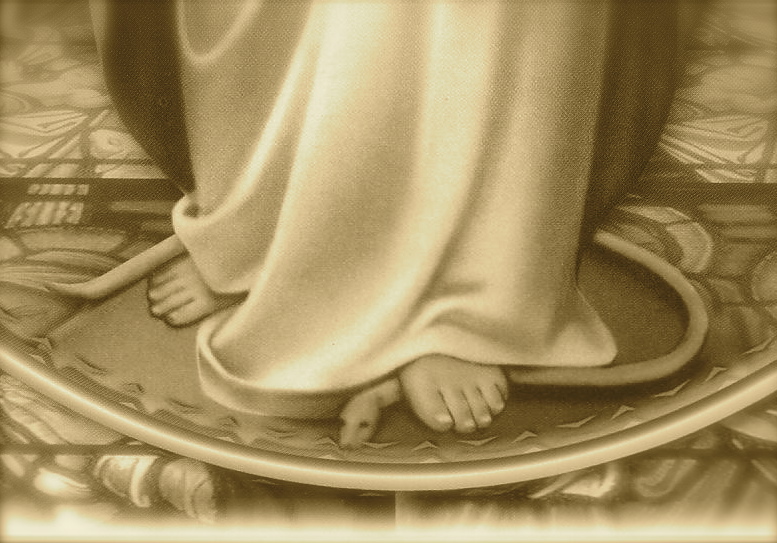 “Place [himself] in Mary’s hand. She will provide for everything you need for soul and body. Therefore, [one can] be at peace with unlimited confidence in her,” (St. Maximilian Kolbe). Our intimacy with Christ is proportionate to our intimacy with the Immaculate. Maximilian a modern model of this great truth in Christian Spirituality. However, this intimacy is not without risks. It requires that we cast ourselves, not our nets, into the deep — trusting that she will not allow us to drown in sin and hell. The fact that Friar Maximilian died on the eve of the Assumption is no coincidence. There are no coincidences where the Immaculate is involved. Is There Faith Without History? As I look through the internet, newspapers, blogs and forums, I see what people think Catholicism is and what they think the Church has said. Many have no clue what it really is and what the Church has actually said, because they can’t see or speak about the Church in historical and cultural context. In their mind, the separation between the Church and secularism is defined as a chasm between the Church and human history. Many of self-proclaimed remnant Christians and Catholics blame the world’s demoralization on Vatican II and post Vatican II popes. World War II, the rise of the USA and USSR to super powers, and the empowerment of the young had nothing to do with contraception, abortion, promiscuity, schizophrenic political ideologies, “the death of God theory” and many more moral evils. he’s speaking to human beings. However, the battle between good and evil also takes place within human history involving all of society, not just Catholics or any single religious tradition. Sin and salvation both involve everything that affects man, not just his religious practices. Sin and salvation influence history. 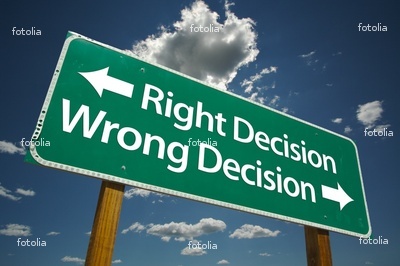 History influences man’s understanding of the former and the latter and man’s choices. Influence is not the same a choice. Man’s freedom to choose is not the same as influence. 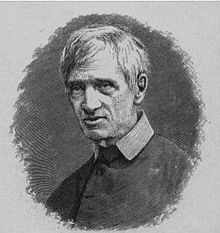 John Henry Newman demonstrated why Bonaventure was right in his great work Development of Doctrine. One cannot separate the Church from human history. Without that historical perspective Catholicism is nothing but a bunch of rituals, isms, and rules of deportment. Salvation history speaks through human history, it is both abstract Truth and lived experience. We receive truth from its source, which is God himself. He has spoken through prophets, scriptures, Sacred Tradition and the Magisterium. But we do not limit God’s self disclosure to those few words that we read in the Bible or on another piece of writing. On the contrary, throughout history we live through a series of experiences that lead us to conclusions about those words, conclusions that build on the one that came before it, that may compliment it, or that may use more modern language. These conclusions do not contradict previous conclusions. However, new conclusions often pose a problem, because the more we think about a point, the more complex the system becomes. Nonetheless, it’s the same system. One could say that the present helps us explain Truth that was revealed from the beginning. At the same time, today’s explanations are not a concrete as the original words appeared to be. We cannot separate history from God, nor the present from the past. We must look at the present and ask ourselves what does it tell us about what was handed down to us by the prophets and apostles. We must ask ourselves, what is it adding to what we already understand about sin and salvation. All public revelation is complete; but we are still working on understanding. We need a hermeneutic of continuity. The present without the past makes no sense and the past without the present blocks the development of our understanding. For example, had not the early Church thought about what Christ had said that he and the Father were one, we would not have arrived at the hypostatic union. The hypostatic union was not understood until the fourth and fifth century. It was an explanation of what had been revealed by Christ himself. The conclusion was based on what Christ had revealed about himself and what the Church had experienced in her encounter with Christ. Both took place in time, not outside of time. We cannot yank the Church out of time in order to stop her from moving forward. We cannot reverse the clock and you cannot push her forward in time with complete disregard for her past. The human element of the Church is an historical element. What the Church is and believes has to be looked at in light of what has been revealed by prophets, Christ and apostles. Our experiences throughout history help us draw conclusions about salvation history and Revelation. I don’t think this needs any explanation. 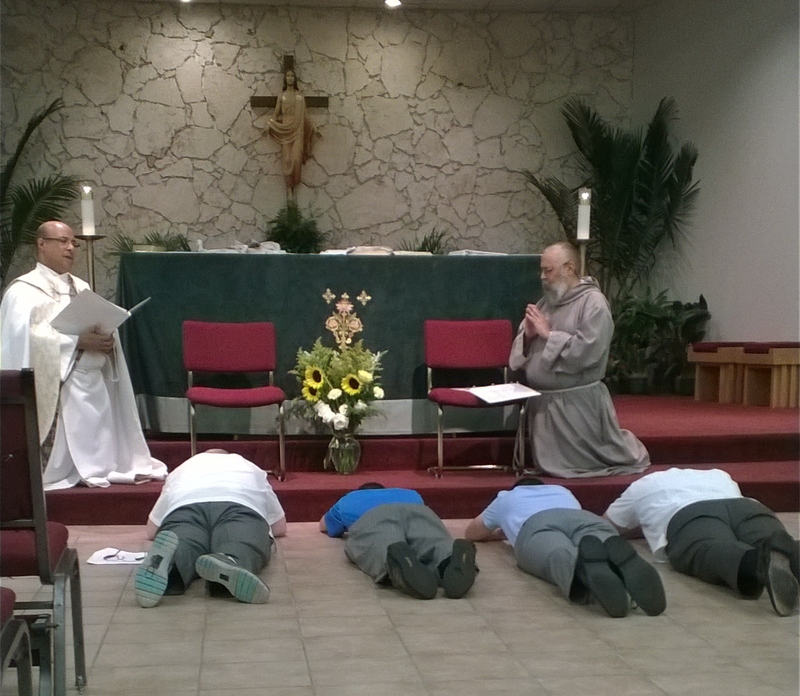 Thanks to Raul Carmine Camarca who produced, directed and was kind enough to allow the Franciscans of Life the honor of sharing this excellent meditation with our friends. Does “Thinking of You” Equal a Hospital Visit? I recently saw this in a forum and thought the argument was completely illogical, not to mention morally wrong. For some very valid reasons, the person can’t always make it to the Extraordinary Form of the Mass. So far so good . . . this happens. But what follows is not so far so good. The person admitted that there are several parishes that offer the Ordinary Form of the Mass at times and places where he or she can attend. However, he “was told that he could do a holy hour and a rosary” and that would suffice, because he “won’t go to a Novus Ordo Mass.” Whoever told him this was wrong, even if it was a priest. Let’s break this down into little pieces. First of all, everyone has a moral obligation to worship God on the Sabbath, which for Catholics and most Christians, that’s Sunday. This is not negotiable. The Commandments do not say that you can replace worship with private devotions. Worship, as it’s understood in the Decalogue means to offer sacrifice in union with the people of God. Here comes the second problem. The Rosary is not The Sacrifice of Christ on the Cross. The Rosary is a meditation and a private one at that. It can never replace the sacrifice, especially the Sacrifice at Calvary, which is celebrated at every mass around the world, as long as the mass is valid. Whoever said that this was a good replacement for a mass does not understand the mass. Next problem, a Holy Hour is not The Sacrifice either. It is a private act of adoration of Christ in the Eucharist. At the mass, Christ makes himself present in the Eucharist and the people of God do adore him, but we adore him as a people, as Church, and as individuals. If we listen to the prayers very carefully, in English, Spanish, Latin or Swahili, the pronoun is always “WE”, not I. All prayers of adoration said at mass are in the plural. The only time that the first person pronoun is used is in professing one’s sinfulness and professing one’s faith. Now that we have busted the myth that a Holy Hour and a Rosary can replace the Holy Mass, let’s get back to our moral obligation. Unless there is a real impediment that keeps us from attending mass, it is a mortal sin not to do so. The Ordinary Form Mass (Novus Ordo) is as valid as the Extraordinary Form (TLM). It is also as efficacious and it is the normative mass for the Latin Catholic Church. One cannot morally justify writing it off. Choosing not to attend a mass, because it’s an Ordinary Form Mass and one has issues with the form, is a willful act, not an impediment. An impediment would be something that is outside of your control, something that physically keeps you from attending mass. One’s personal feelings about the mass are not physical impediments. Unless the feeling can be proven to be psychologically crippling, there is no good reason to miss mass, because of how one feels about either form of the mass. This also applies to someone who willfully misses mass, because the only mass left is the Extraordinary Form and “I don’t like the Latin mass.” Too bad. It’s not there for your pleasure. The Sabbath is to please God, not you. A good friend and I were discussing the Mirror of Perfection and how we’re called to be such a mirror. 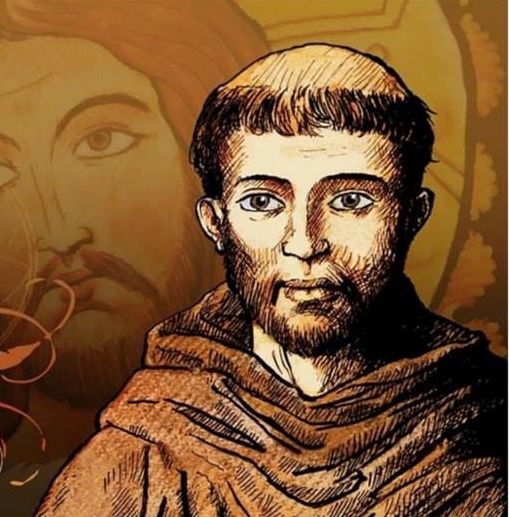 St. Francis of Assisi has often been referred to as the Mirror of Perfection. 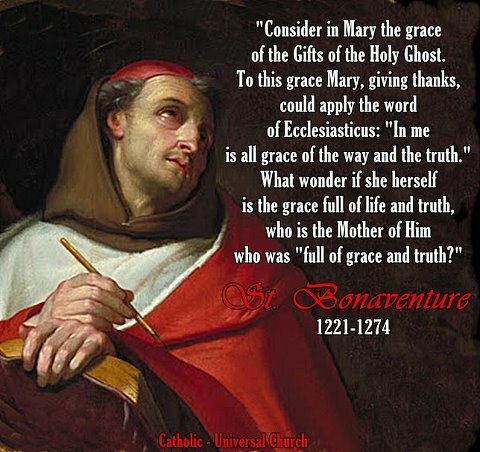 I believe it may have been St. Bonaventure who started this tradition, which caught on in the Church and has lasted until today. Now that I think about it, I’m glad that St. Bonaventure introduced the term, Mirror of Perfection. For centuries that Church has been telling us that we are called to holiness. Vatican II summed it nicely when it said “the universal call to holiness.” I like it because it’s clear that the call is not just for those of a certain religious tradition, but for all people. Everyone is called to holiness, even non-believers. How God leads men to holiness is complicated and parts of it are mysterious to us. We know that no one goes to the Father but through Christ. How Christ brings men to the Father is a whole other issue. We can get into that here, but we won’t. Suffice it to say that Christ does cartwheels to get us to the Father. In other words, he does cartwheels to helps become saints. If we’re all called to holiness, to the perfection of charity, to be perfect as Christ is perfect, then aren’t we all called to be Mirrors of Perfection? How can one be like Christ and not reflect Christ to those around us? It’s an oxymoron. “I must decrease so that he can increase.” Those are the words of John the Baptist. The less of us and the more of Christ that people see when they come into contact with us, the better mirrors we become. St. Francis was not the only man called to be the Mirror of Perfection. Rather, like St. Bonaventure says, he was probably the best mirror in Christian history. This introduces another concept. We can’t just reflect back an image of Christ. If you have ever been into a house of mirrors, some images are distorted. The key is to reflect an image of Christ that is as close to Christ as possible. That requires work. We don’t accomplish it over night. We are sinners. We try to do what is right, but we make bad choices and we have to begin again. The secret that St. Francis discovered was that he recognized when he sinned and stopped the sinful action. He did penance for his sins and tried as hard as he could to do better. It was not always easy. Very often, the temptations came back over and over again. Over and over again, he put his hands into the hand of Christ, through prayer and penance. Christ guided him. Gradually, he reflected Christ better and better. There is no great secret on how to become mirrors of perfection, nor are some called and others excluded. The call to holiness is universal. The key is to try over and over again, letting Christ teach us and not being afraid. As long as we journey with Christ, we have nothing to fear. He knows what we need to reflect him to the world. The first step to being a mirror of perfection is to learn to be sorry for our sins, to do penance and to try very hard not to sin again; but if we do, don’t panic. Christ does cartwheels to save us. Go back to him. Ask for forgiveness and try again. Always trust that each day he will bring you closer to being a perfect reflection of His love. This article is a response to a request from my princess who asked me to write about the Trinity for her. She remembered that I had taught her and her brother about the Most Holy Trinity and asked that I write about it for her. I’m very proud that my daughter is meditating on the Trinity. Before proceeding, I’d like to explain that that I do have a daughter and a son. Some may find it strange that a consecrated brother has children, but it’s not that strange at all. It’s just not that common. Let’s see . . . St. Augustine had a son. Elizabeth Ann Seton had five children. Louise de Marillac also had a son. Jane Frances de Chantal was the mother of four. 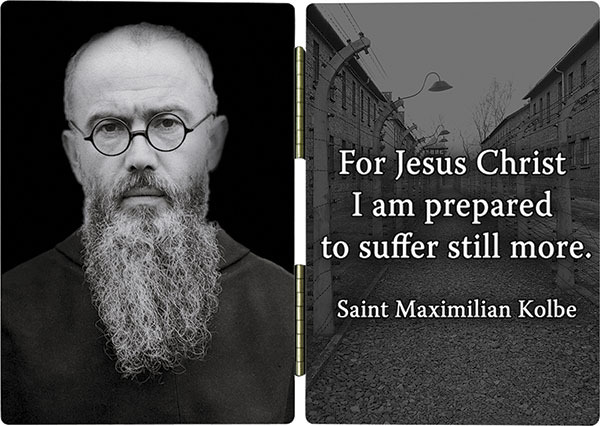 St. Maximilian Kolbe’s mother became a Franciscan sister. There have been widowed men who are fathers and have consecrated their lives to the service of the Church, but widowers are a smaller number than widows. I’m not sure what that says about men and women. Do women outlive men because they need to remain here to do more penance or do men die before women because they don’t have the stamina to deal with life’s challenges? I guess we’ll find out in heaven. But I’m very happy to be among these great men and women who have been parents and consecrated sons and daughters of God and the Church. Having said all of this, let’s get back to the Trinity. Writing about the Trinity can be a task as daunting as rewriting the Summa Theologica. An old legend tells us of St. Augustine who pondered the mystery of the Trinity. While doing so he encountered a child on a beach who was trying to pour the ocean into a hole that he had dug in the sand. When Augustine told that child that it was impossible to pour the entire ocean into a small hole in the sand, the child told him that it was far easier to do that tan to fully comprehend the Trinity. Anything that we can say about the Most Holy Trinity is based on what God has chosen to reveal to us about Him. There is much more to come, but we won’t see it until eternity. All I can do here, Princess, is to “paint a picture of the Trinity” with very broad strokes. I may have to do this in parts so as not to make it too long and boring. Let’s begin with what the Trinity is not. When we speak about the Father, Son and Holy Spirit, we’re not speaking about part of God. God does not have parts, because he’s not created. Only created things have parts. Nor is God some existential composite. We cannot speak about parts of God. 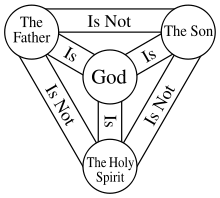 When speaking of the Trinity, we’re not speaking about parts of God. We’re speaking about persons in God. We must make a distinction between person and people. People are human and created. Personhood describes the nature of a being. Peoplehood describes the being as part of a collective. God is not part of a collective as are human beings. Therefore, we are both persons and people. God is three persons, not three people; because there is no collective. St. Thomas Aquinas tells us that God is simple. It is also important to understand that God is fully actualized. There is nothing missing in him. There cannot be an absence of love in God. However, love is oriented toward the other. It is not self-centered. Love exists in communion with the other (the beloved). In God there is otherness in oneness. This otherness is three persons: Father, Son and Holy Spirit, one God. In these three persons, there is perfect love. There has to be love. If there were not love in God; IT would be something else, but not God. Where there is love, there is also communion. Communion only exists when there is otherness. This otherness in God has revealed itself to us as three persons who are one God: Father, Son and Holy Spirit. They do not share a common divinity. Each person is fully divine, fully God and to see one is to see the other. Remember that we said that God is simple. Where you share something, you’re dividing it. It ceases to be simple and becomes multiple. It also loses something. Analogies don’t always work perfectly, but they help. If I have a pizza and I slice it, I no longer have a pizza. I have pizza. There is a difference between having pizza and A pizza. The former are parts of the latter. But do you see how complicated this became when we started dividing and sharing? Throw away any notion that Father, Son and Holy Spirit, divide and share divinity, godliness, power, authority or whatever. Each is the same, but each is a distinct person. It’s incredible how fascinating God is in his simplicity and his eternal communion of love. “According to Aristotle, a good is something desired. Now is there anything more desirable than God—He is the greatest good,” (Taylor Marshall, 2014). Imagine if God had to go beyond himself to love and be loved, to find community and experience family. Would he then be the greatest good? No, because he would have an unmet desire. He would be missing something in himself, something that he has to go find outside of himself. What kind of God is that? The opposite thought would be to believe that God does not wish to love, does not wish community and family. Would this be the perfect God? No. Community, family and love are natural to God. Hence, when we are created in God’s image and likeness, guess what? We are created for community, family and love. There is more that can be said about the creation of man, but that’s another essay. Catholic dogma tells us, “The mystery of the Most Holy Trinity is the central mystery of Christian faith and life. 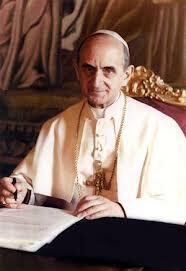 It is the mystery of God in himself,” (Catechism of the Catholic Church, No. 234). Let’s start wrapping up by saying that this mystery is uniquely Christian in that God has revealed it to the world through Jesus Christ and no one else. God tells us about himself in this mystery. He tells us that he is one, that he exists in a community of love and that he is beyond anything that we can imagine. He invites us to engage with him as Father, Son and Holy Spirit and to come to know him in his fullness when we get to heaven. Let us remember what he said to the Apostles. “Go therefore and make disciples of all the nations, baptizing them in the name of the Father and the Son and the Holy Spirit,” (Mt 28:19). 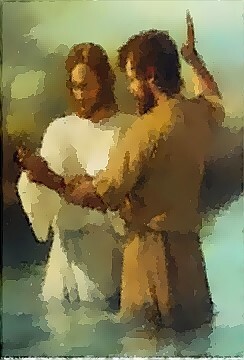 Observe, the he commissions the Apostles to baptize in “the name” not “the names”. Father, Son and Holy Spirit are one and three. On another day “Jesus said to him, “Have I been so long with you, and yet you have not come to know Me, Philip? He who has seen Me has seen the Father; how can you say, ‘Show us the Father’?”(Jn 14:9). If you have seen Christ, you have seen the Father. It is the Holy Spirit who opens the eyes of faith to find the Father through Christ the Son. Princess, if you have found Christ, then you have found the Father, because she who sees him sees the one who sent him. This vision of faith is given to you by the Holy Spirit. Stay tuned Princess . . . more to come on the Trinity.